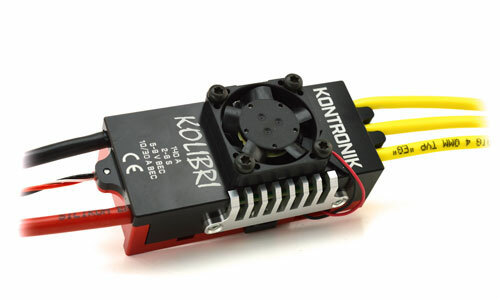 KONTRONIK is known for high-performance drives in RC model construction. At our location in Rottenburg we develop and produce powerful control electronics (ECUs) and BLDC motors of highest quality - all made in Germany. In our products we use only the highest quality components and materials. With advanced production plants, careful manual work by our qualified employees and high quality standards, we stand for innovative, high-performance and reliable products. That’s our way to set standards in quality, performance and technology for more than 20 years now. The heritage of KONTRONIK is the design of high performance drive components that are powerful, innovative, and efficient. Driven by our heritage, we have continued to advance the design of sensorless brushless drive systems. With industry leading smooth startup and governor control, KONTRONIK systems are the choice of competition pilots throughout RC modeling. We offer industry leading design and manufacturing, which provides pilots with matched power systems that offer peak performance and efficiency.